It’s a no-holds-barred conversation with award-winning auteur Lee Daniels as he discusses his new series, ‘Star,’ and the effect ‘Empire’ has had on homophobia in hip hop, and shares his uncensored thoughts about #OscarsSoWhite in 2017. Larry King is joined by the director Lee Daniels, who speaks with Larry about his two hit Fox series, “Empire” and “Star.” He acknowledges the racial boundaries that he has pushed in developing the two shows, and what drew him to network television. Daniels addresses the impact that “Empire” has had on traditionally taboo subjects in the world of hip-hop, including homophobia and mental illness. 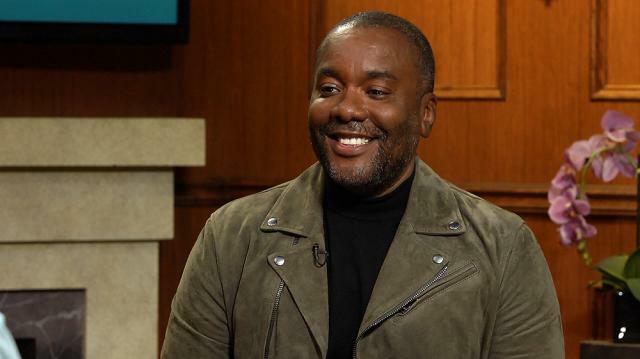 Filmmaker Lee Daniels also talks with Larry about awards season, and how he felt after “The Butler” getting overlooked by most major ceremonies. Daniels also muses on some of the films that he hopes to make in the coming years, including a Hitchcockian type thriller. Finally, Lee Daniels and Larry King reflect on Daniels’ first days in Hollywood, from his time as a homeless man sleeping behind a church, to a renowned director and television showrunner. Daniels remembers arriving in Los Angeles with seven dollars in his pocket, and how he climbed his way to the top.